Wednesday Writing Workout - MoNsTrOuS Fears! As I mentioned in last week's post, my teacher Barbara Bottner asks writing students to write about our greatest fears as if they were monsters. So, I asked myself...if my fear of writing mediocre poems and stories were a monster, what would it be like? It's a blob. A beige blob. With blood-shot eyes. It's as big as a refrigerator and hunches on the rug blocking the window. It smells. Like a wet giraffe. It has tuna stuck between its yellowing teeth and a runny nose, and it's dropping Snickers wrappers on my clean carpet. And it JUST KNOCKED OVER MY EDGAR ALLEN POE DOLL which was carefully balanced on top of my stuffed dog! and plastics that are burning. and now my stomach’s churning. I will not let you in today. poem © 2013 April Halprin Wayland. All rights reserved. 1) What are you afraid of? Make a list of at least five things that scare you. Are you afraid of snakes? Of flying? If you’re a writer (of COURSE you're a writer! ), are you afraid of rejection? 2) Circle the one that scares you the most…or the one that you can’t wait to write about. 3) Make this fear into a creature. Try to include as many of the five senses as possible--how does it sound? How does it smell? Maybe your fear of heights is a moldy grey vulture who hides in caves, makes snarky noises, and wears high tops…or maybe your fear of the dark is a neon green monster with sticky skin and garlicky breath that whispers evil things in your ear. 4) Write a story or a poem about this creature. You might want to speak to it or yell at it. Dialogue is fun to read aloud. Wouldn’t it be neat to YELL at your fear? Or maybe YOU'RE the creature! 5) Share your writing with someone you want to scare. Oh! I did mention Ed DeCaria's marvelous Second Annual March Madness Poetry Tournament, didn't I? Ed revealed the 64 "authletes" on Academy Awards night and I'm among them--yay! As Mary Lee says, "I'm looking forward to the fun (and the stress)!" 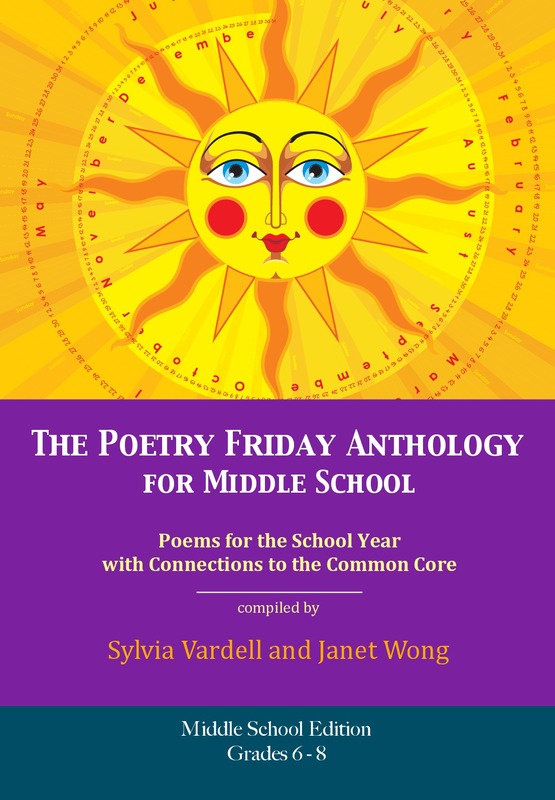 And finally, I'm proud to announce the publication of The Poetry Friday Anthology for Middle School, which joins the K-5 Edition; both are masterfully compiled by Janet Wong and Dr. Sylvia Vardell. 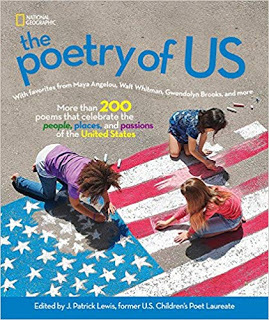 Explore a poem a week for every grade, K-12, with these two books. 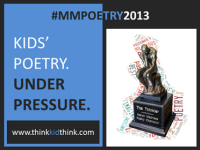 And for each poem, Janet and Sylvia have cooked up five ways to extend the teachable moment. Wowza! I am humbled and honored to have poems in both. There I was, out and about at the 2013 Colorado Chapter IRA Heroes in Literacy Conference in Denver, sharing with teachers proven ways to seed and feed their Young Authors, when a workshop presenter shared a proven way with me I knew I’d quickly share with you. Please meet Deanna Duray's Little School’s Third Graders, digital citizens with the handle Fervent Learners! Their classroom was one of seven (out of 127 applicants!) in Jefferson County, Colorado to receive on January 14th an iPad 1:1 Grant from the local Karl Friedman Family Foundation. It was obvious from the workshop’s get-go: weekly blogging was proving to be a veritable Miracle Gro for Deanna Duray’s students. They were writing, posting, commenting, communicating, reading, learning and noticeably blooming. Our concerns about security, technical difficulties, school day opportunities and parent and administration support proved unwarranted. Using our own laptops and ipads, we explored www.kidblog.org, set up accounts, wrote posts, inserted photos, embedded web tools and even commented. Her Principal Robert C. Lopez’ Vote of Confidence upped my eagerness to share Deanna Duray’s Fervent Learners with my blog’s readers. I emailed Deanna Duray to ask what she loves best about her third graders blogging. Having an authentic audience was on the top of her list. “It gives us the opportunity to reach outside of our classroom walls and show our families and others how we are growing as writers. Just this last week our class blogged about the upcoming state testing and what it takes to be a FERVENT test taker. I shared our blog link with one of our 6th grade teachers and her students replied back. I love how blogging gives students a wider audience!" As for her fervent bloggers and what they love best? “I love that you can comment on other people's blogs!” wrote Micaela. “I love how I can blog from home!” commented Jovanni. Choose a post and share your comments! If you’re a classroom teacher, consider introducing this opportunity to your students. If you’re a writer, especially of children’s books, consider each Fervent Learner post a mini-lesson on Voice. And, thank you, Deanna Duray and Fervent Learners, for sharing your experience and expertise. Howdy Campers, and Happy Poetry Friday! PF is hosted by Sheri Doyle this week--thanks, Sheri! Poetry Friday hosting can be a big job, folks, so make sure you help Sheri put away the chairs and stack the dishes before you leave. I'm continuing the TeachingAuthors thread we're calling Books We Recommend On Writing which Esther began, reverently offering M.B. Goffstein's A Writer...(which I, too, have on a golden altar in my bookshelf!) On Poetry Friday, Carmela continued with her top three books on the art and craft of writing poetry, and then Mary Ann offered her favorite one or two books in three categories: Inspirational Books, Craft Books and Craft Books for Kids. Jill gave us three writing books packed with great information and inspiration, while Jeanne Marie focused on books about plotting...and one on writing "Hit Lit." I'm going to recommend one of Monkey and my favorite books on writing poetry, POEM-MAKING ~ Ways to Begin Writing Poetry by Myra Cohn Livingston. We like it because it's written for a ten year old--just about my level. 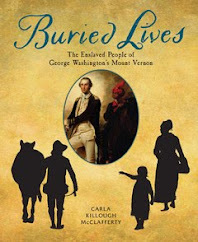 For more on this book, read Elaine Magliaro's really excellent review of it on The Wild Rose Reader--I couldn't review it any better. Myra Cohn Livingston was the "Mother of Us All," as Janet Wong writes. She was Poetry Mentor/Mother to me, Janet, Ann Whitford Paul, Sonya Sones, Hope Anita Smith, Alice Shertle, Kristine O’Connell George, Deborah Chandra, Madeleine Comora, Joan Bransfield Graham, Tony Johnston, Monica Gunning, Karen B. Winnick, Anita Wintz, Ruth Lercher Bornstein and many, many other children's poets (Who am I missing? Let me know!). I have previously talked about two books I require in classes I teach through the UCLA Writers Program. One of the books is Bird by Bird by Anne Lamott, about which several TeachingAuthors have waxed poetic in the past. we were all cans on a shelf. there isn’t enough room for you,”she said. poem (c) 2013 April Halprin Wayland. All rights reserved. My brilliant teacher Barbara Bottner taught me to write about my greatest fear...because chances are, we all share it. of writing something stupid in a blog post. A controversial issue of the day. A setting against the backdrop of an important time or place in history. A main character ejected from his/her childhood home/country/Promised Land (e.g., Tara). High information about a topic the reader likely knows little about (nuclear subs, the Holy Grail). To be honest, most novels that I can think of aimed at kids over the age of 8 or 9 seem to meet at least half of these criteria. Numbers 10 and 11 seem almost universal. I want to mention another book in this vein that may not exactly qualify as a craft book but that I have been reading with great interest. Hit Lit: Cracking the Code of the Twentieth Century's Bestsellers, by James W. Hall, provides an academic's literary analysis of 12 common qualities of 12 top-selling (adult) novels, from To Kill a Mockingbird to Gone with the Wind to The Godfather. Happy Friday! 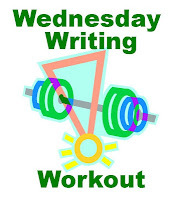 I don't know about you, but I've bookmarked Mary Ann's Wednesday Writing Workout. What a fun exercise! Now, back to the topic of favorite craft-oriented books. We all have our personal favorites, of course, and there are certainly enough out there to satisfy everybody's tastes. 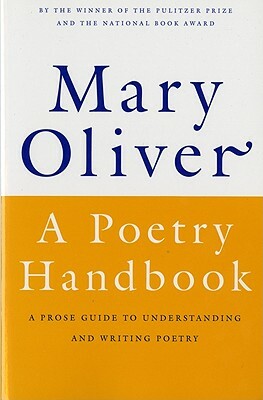 I hadn't even heard of Carmela's pick, Mary Oliver's A Poetry Handbook, but I'm going to have to try to find a copy. I'm more familiar with the terrific books on Mary Ann's list, although I've never had the pleasure of reading Marcia Colub's I'd Rather Be Writing. These two are going straight to my (ever growing!) "must read" list. For my own list, I'm going to stick to those books that deal with writing fiction. Self-Editing for Fiction Writers, by Renni Browne & Dave King. This little gem was first published in 1993, but it's no less relevant now than 20 years ago. It's packed with information that vastly improved my writing. Vastly. And it's written in a friendly, chatting-over-the-back-fence style that appeals to me. So many illuminating examples are sprinkled throughout – good, bad, hilarious, and cringe-inducing – that there's no way you can read it and not come away a better writer. How many writing sins did Beginner Me commit? That's for another post. Telling Lies for Fun and Profit, by Lawrence Block. Reading these essays is like picking the brain of a warm and witty, well-published favorite uncle who's willing to cut through the baloney and give it to you straight. He covers every topic I can imagine about writing and the writing life. From selecting a pen name (or not) to speeding up your writing to creating believable characters to "the perils of icebox thinking." I'm not kidding. It's ALL here. An often eye-opening read. For my third choice, I’d have to go with Stephen King’s On Writing. Half memoir, half instruction manual, candid and, by turns, heartbreaking and funny, this book gives me hope that success can happen for any of us willing to work hard and BELIEVE. And who doesn’t need that? Many, many other books on my bookshelves beckon, but these three remain my faves. Since I never studied writing formally, they pretty much provided my writing education, helped get me where I am today. How could I not love them? Writing with coaches? Like "Dancing with Wolves," these two phrases don't sound right together. Yet, this exercise not only got coaches to write, they wrote well. I have done this particular exercise with adults and children, but my most successful session was with a group of middle school coaches. The writing workshop was the last item of the day for this school visit. It was a Friday afternoon. A Friday afternoon after school. I don't remember the details, but I had agreed to do an hour's after school writing workshop for faculty. I did think that a Friday afternoon after a long week would not have been my choice. I also assumed I would be working with language arts teachers. Imagine my surprise when a group of bedraggled teachers in sweats, sneakers and lanyards stumped into the library, pulling on Gatorade bottles. There was no mistaking their identity. These were coaches. I don't know whose idea it was to make coaches (none of whom taught language arts) sit through an hour of me on a Friday afternoon. Maybe they were being punished. All I could think it was "OMG this is going to be the worst workshop ever. Thank God I already have my paycheck." Bad, bad me, for all my preconceived notions of coaches (OK, I have to admit I am still harboring my own middle school issues with PE teachers, but still, it wasn't very professional of me). However, once I gave out the instructions for this exercise, those pooped-out specimens of physical health and education, sat up straight, and surprised the living heck out of me with the quality of their writing. So what was the magic exercise? Today's workout comes to you courtesy of my friend and Vermont College MFA faculty member Louise Hawes. Louise, I don't remember if these were your exact instructions, but this is how I interpreted them for my own use. 1. Under no circumstances should you give the slightest advance hint as to what the exercise will be. 2. Tell the students to think of two unusual things they have heard that day, and to write them down. They should be only one sentence each, and should be from two different conversations. The emphasis is on unusual. "Open the window" or "Shut up and sit down" do not qualify for this sort of thing. One of the best results of this exercise came from the quote "Hey grandma, you wanna piece of this?" 3. On a sheet of paper write the first sentence at the top of the page, and the second sentence towards the bottom. (The idea is that the paper can be creased and ripped apart without damaging the writing.) You don't need to leave room for more writing...that will be done on a second separate page. 4. Do not indicate who is speaking, how they are speaking or where they are speaking. Just the sentence. Period. 5. Fold the papers and put them in a hat, box, something where the papers can be mixed together. 6. Each participant should choose two pieces of the papers. If they should happen to get one of their own sentences, no big deal. No swapping allowed. sentences and characters and work them into a scene. With my own students this has by far been their most favorite exercise over the years. And those coaches? They had written down oddball snippets they had heard from their students during the day. They had a blast scribbling away at their scenes. I usually only allow twenty minutes for this but the coaches were having so much fun I let them go for half an hour. I never insist that my writers "share" their work unless they wanted to. Everyone of those coaches (and their must have been two dozen of them) wanted to read their work out loud. The hour workshop turned into almost two hours (and I nearly missed my plane.) The cool thing was that those teachers had not only written terrific scenes, but they were really surprised and pleased by how well they had done. If you have been following this blog for awhile, you probably know that my favorite book after Charlotte's Web is Anne Lamott's Bird by Bird. I re-read Bird by Bird on a continual basis. (All right...I keep it in the bathroom for moment of "unavoidable delay.") Anne is funny and profane (for those of you who object to the occasional profanity in your how-to books, this might not be for you.) Anne taught me two important lessons: 1) first drafts are always crappy. That's why there are second, fourth and seventy-fourth drafts. You aren't going to get it right the first time. 2) You don't sit down to write with an entire story arc in place, any more than you would sit down to eat one of those 64-ounce-steak joints (finish it and it's free....and you have probably just had a coronary so the point is moot). The title Bird by Bird is Anne's shorthand for writing only what you see before you right this minute. Don't worry about that elusive center section, or that fuzzy ending. Write what you see clearly now. Craft books. Darcy Pattison's Paper Lightning: Pre-Writing Activities That Spark Creativity and Help Students Write Effectively was written with the middle school writer in mind. Therefore, it is perfect for me, when I find myself with big story problems I can't solve myself. There are exercises here for developing characters, settings, plots, dull language....you name it, Darcy and Paper Lightning can solve it. I have always wanted to teach a full-year class just to have the pleasure of sharing all of Darcy's common-sense suggestions and solutions. However, since I am currently relegated to teaching six session workshops, Paper Lightening is my atlas to writing sanity. Craft books for kids: The classic book I hand a student who wants a book "that tells me how to write a book" is Marion Dane Bauer's What's Your Story: A Young Person's Guide to Writing Fiction. Although this is geared to a slightly younger crowd than Paper Lightening, it was my fiction writing bible in the Vermont College MFA program (and not just because Marion Dane Bauer was one of my four mentors.) Unlike Paper Lightning, which is designed to be a textbook, Bauer's book can be read and understood without teacher assistance. My six-session workshops can be problematic. It is not reasonable to expect any student, adult or child (and I teach both) to complete more than a rough draft in such a short time. I focus on writing exercises that are fun and have the possibility of "growing" into a larger work. Ralph Fletcher has written more books on writing with kids than I can count, but my favorite is the one he has written for teachers, Craft Lessons. Fletcher takes students Pre-K through middle school through the components of fiction writing. The exercises and lessons can be used as stand-alone lessons. 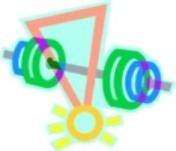 Each exercise is tailored to the skills and understanding of that particular age. My kids' workshops are for grades 4-8, so this is perfect for me. And if you like this book, check out the rest of the Ralph Fletcher bookshelf; you won't be sorry. Tune in Wednesday when I share my favorite writing exercise that I did not learn from any of my favorite writing books! 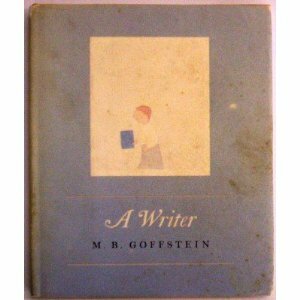 Esther kicked off our current topic, recommendations for your writer's bookshelf, by sharing a favorite of hers I'd never heard of: M. B. Goffstein's A Writer. I have so many cherished books on my writer's bookshelf that it's hard to pick just one, so I'm going to share three. And, in honor of Poetry Friday, they're all poetry-related. "To make a poem, we must make sounds. Not random sounds, but chosen sounds." Oliver goes on to explain that "A 'rock' is not a 'stone'" when it comes to sound. And she offers advice on how to choose words with sounds that best fit a poem's meaning and mood. 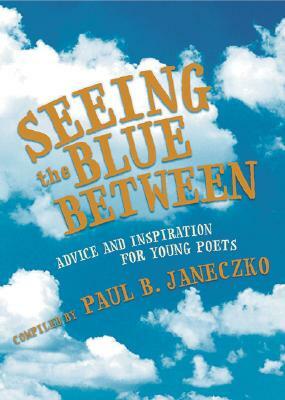 While aimed at poets, this book contains valuable advice for picture book authors and novelists, too. ". . . in this unprecedented volume, thirty-two internationally renowned poets provide words of wisdom and inspiring examples of their own work for new poets everywhere. . . . 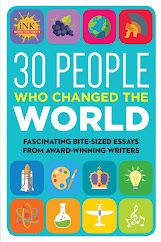 This rich volume - an ideal resource for classroom teachers and a beautiful gift for budding writers of all ages - offers the perfect opportunity to do just that." and wishing. . . .
"Part blank journal, part helpful workbook and reference, its pages are highlighted with insights from famous poets, an exercise to summon the muse, and definitions of classic poetic techniques. . . . This ingenious and useful writing tool also includes a six-page appendix with rules of form, meter, and rhythm to help readers compose their own sonnets, haiku, and other poems." It's a slim, lightweight journal that's easy to carry along on your next "fishing" expedition. If you have any recommendations for poetry-related books from your writer's bookshelf, I hope you'll share them in the comments. 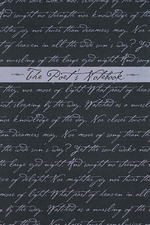 And don't forget to check out the Poetry Friday round up today at A Teaching Life. And, in case you missed it, be sure to read the poem, "Pencil Speaks to Writer" by our Mystery Guest TeachingAuthor in our latest Wednesday Writing Workout. 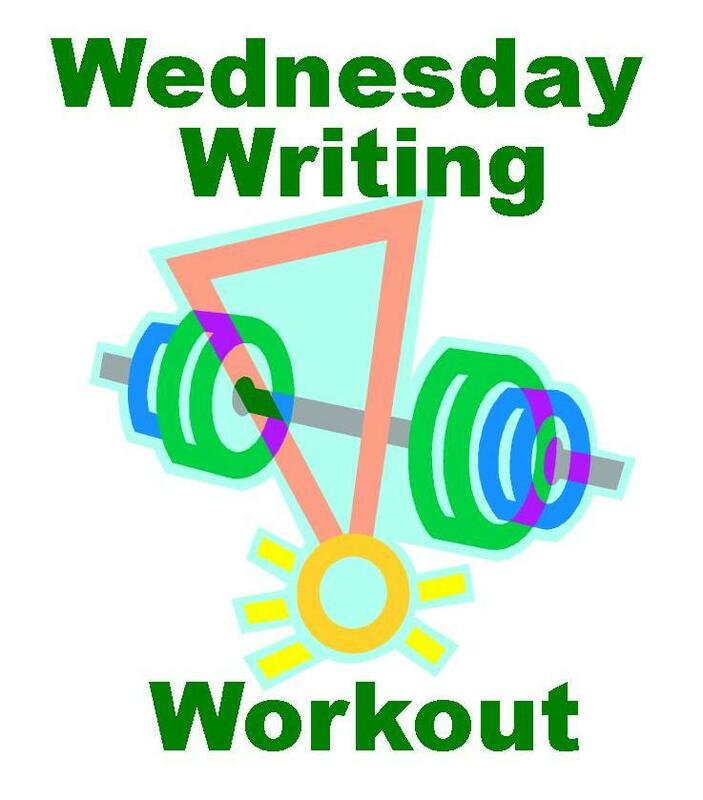 Mystery Guest Wednesday Writing Workout: Exercising Your Imagination! 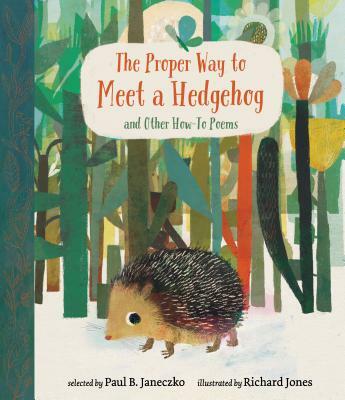 Today’s Wednesday Writing Workout comes to you courtesy of a TeachingAuthor I so admire and respect, an award-winning picture book author, poet and UCLA instructor whose hands-on text Writing Picture Books (Hint! Hint!) I recommend at least once a week to writers and students. She could truly be M.B. Goffstein’s “writer,” seated on her living room couch, cutting, pruning, shaping and planning the words she wishes to set upon paper. Her picture books include Word Builder (Simon & Schuster) and Tortuga in Trouble (Holiday House). The Wednesday Writing Workout: Exercising Your Imagination! One of the challenges of a writer is to create something new—a story, poem, an essay—that hasn’t been done before. That sounds like a tall order, but it’s not as difficult as it sounds. Putting yourself into an inanimate object is a fun and easy way to write uniquely. Have you ever wondered how a book feels if you close it before the end? Have you ever pondered how a tree endures a thunderstorm? Can you guess what a snowman’s last words might be? This exercise will give you an opportunity to answer those questions. To show you how, let’s take a pencil. Imagine that you are the pencil. What might you say to the person holding it? Then write without stopping or revising. Okay, a rambling paragraph of unedited raw spillage, but rereading, I was surprised by several things here. The phrases “shout gray silver words” and “how I hate the way you bite down on my eraser” and “your saliva slivers down my yellow,” they gave me a niggle that I took as a sign to explore them further. I thought and thought about those phrases and after much revising came up with this poem in the form of a cinquain. So here’s your writing workout for this week: Go up to those questions I asked earlier. Then be a book, a tree or a snowman, or all three if you’re feeling ambitious, and let your words flow. I guarantee you’ll surprise yourself. You may not get a story, a poem or an essay out of it, but you’ll be exercising your imagination, something all writers need to do regularly. So, did you guess our Mystery Guest Author, Ann Whitford Paul? You might recall the Thumbs Up review I gave Writing Picture Books when our TeachingAuthors blog began. For more Writer Tips from Ann, click here. 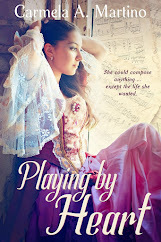 Ann Whitford Paul gets - and loves – writers and writing. Thanks, Ann, for keeping my writing muscles, and those of our TeachingAuthors readers, burning. My Writer’s Bookshelf consumes just about every inch of my writing room’s cleverly-extended window sill. While I peck away at my laptop’s keyboard, wandering and wondering, each book sits there, winking and waving. Smack dab in the middle of the line-up, though, rests my very favorite writer’s book - M.B. Goffstein’s A Writer (Harper & Row, 1984). Its sky-blue book spine short and slight brilliantly shines as my writer’s North Star. I’m almost hoping you’ve never ever heard of this title, so this post can gift you the way the book first gifted me. Illinois while out and about on my Writer’s Journey sometime in the late 80’s. I was figuratively lost, unsure of my path. Opening this small treasure of a book, I was instantly found. According to A Writer, that’s what writers do. Back then, I was seeding and feeding my own stories as well as my writer self. 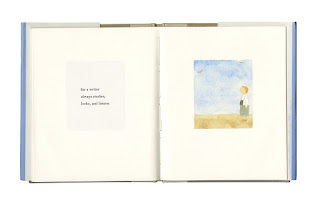 Marilyn Brooke Goffstein’s simplicity in words and lines spoke to the gardener in me. Today I still grow my own stories but I also spend my days seeding and feeding other writers – Young Authors and authors young-at-heart. Goffstein’s A Writer speaks even more loudly. But, don’t take my word for it. See for yourself! 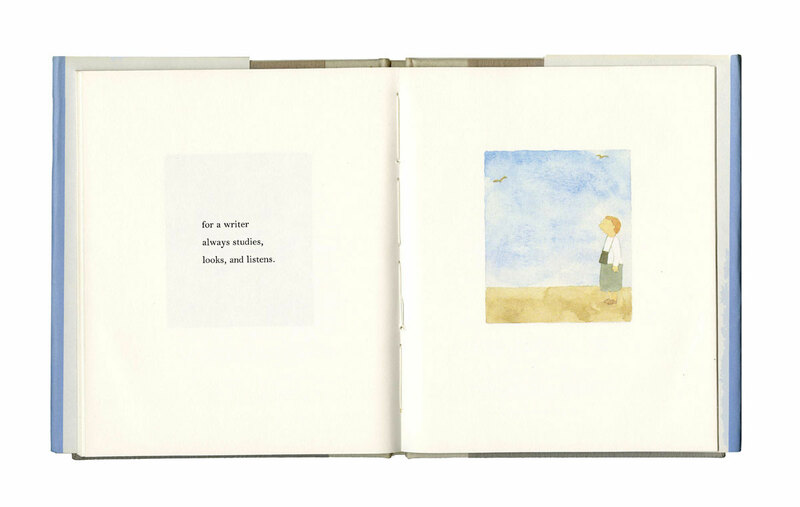 Come to know this Minnesota-born writer, illustrator, children’s book creator, Parsons School of Design faculty member. Read about her books, including the 1977 Caldecott Honored Fish for Supper. Be sure to check her Tips for Picture Book Writers and Illustrators. Write something you don't know but long to know. It is tiresome to read a text that the author hasn't fought for, lost, and by some miracle when all hope is gone, found. Do them (your readers) the honor of reaching for something far beyond you. And, while Florence Shay and Titles, Inc. are sadly no longer with us, search other antiquarian bookstores for Goffstein’s one-of-a-kind books. Lucky you should you come upon A Writer for sale so it can shine on your Writer’s Bookshelf!